Impression Healthcare (ASX: IHL) announced some impressive data in delivering its results for the three months to June 30, 2017. The report was released as the market opened on Monday, and the company’s shares were up 12% in mid-morning trading. As well as releasing results for the quarter, management also highlighted data for the 12 months to June 30, 2017. Some key takeaways for fiscal 2017 included 306% growth in sales revenue compared with the previous corresponding period. This was driven by increased unit sales of 420%. IHL has three marketed dental products, Gameday Mouthguards, ITW (instant teeth whitening) and the recently released Knight Guard (teeth grinding guard). While 5,239 product units were sold in fiscal 2017, IHL’s distribution platform really didn’t kick into gear until the second half, and it is worth noting that over 5,000 units were sold between January 1, 2017 and July 26, 2017. This provides a better indication of the run rate that is likely to be achieved in fiscal 2018. Of further significance is the fact that the ITW and Knight Guard products only made sales contributions of eight weeks and two weeks respectively in fiscal 2017 due to the timing of their release. Given management’s comments that these newer products are delivering stronger margins, the bottom line impact in fiscal 2018 could be significant. 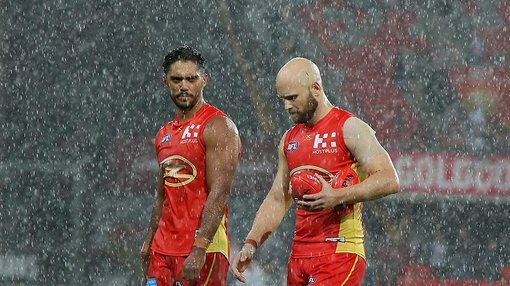 IHL has made substantial progress in terms of establishing relationships with key sporting bodies and individual ambassadors such as Jonathan Thurston and Gary Ablett. This has paid off in the first half of 2017 with website sales conversion rates for the company’s Gameday product averaging 5.4% between March 1, 2017 and July 27, 2017. This tends to be a peak buying period due to the uptick in contact sport being played during those months. The conversion rate peaked at 9.9% during that period, well ahead of the average e-commerce sales conversion rate of between 1% and 2%. Importantly, as the company enters fiscal 2018 with a much improved sales outlook, the scalability of the business has become more apparent with increases in unit sales coinciding with a strong improvement in the company’s return on marketing spend. Management quantified this trend in saying, “The business is now demonstrating scale, with $4 of sales revenue now being generated from each $1 of marketing spend, compared to just over $1 of revenue for each dollar spent on marketing when the company began its campaign at the start of 2017”. While this augurs well for fiscal 2018, IHL isn’t resting on its laurels with management commenting on its forward strategy in saying, “With an increasingly active marketing program planned for FY18, the company is strongly positioned to continue its sales momentum with initiatives such as combat gym partnerships and the launch of a series of limited edition Gameday Ambassador Footy Cards as additional value add for customers, as well as AFL and NRL grand final competitions and promotions”.